WE WILL POST EVENTS OF INTEREST HERE. AUTOMOTIVE RELATED AND NOT. THERE WILL BE, OF COURSE, CAR SHOWS, SOME TRAINING CLASSES AND LEISURE EVENTS. ANYONE INTERESTED IN A GROUP TO THE LEHIGH VALLEY IRONPIGS IN 2012 ?? WE WOULD PARTICIPATE IN AN ALL YOU CAN EAT BUFFET WHERE DRINKS ARE AVAILABLE, AND SEE THE BALLGAME!!! ALL FOR A MODEST FEE. LAST YEAR THE PPL PICNIC PATIO BENEFITS ARE A TWO HOUR BUFFET, THE GAME TICKET AND BEER SERVICE (AT AN ADD'L FEE) FOR $25.00 PER PERSON IF WE GROUP 24 OR MORE. THESE ARE A GREAT FAMILY AND SOCIAL OUTING. FIRST 2011 GAME WAS THURSDAY, APRIL 7TH. 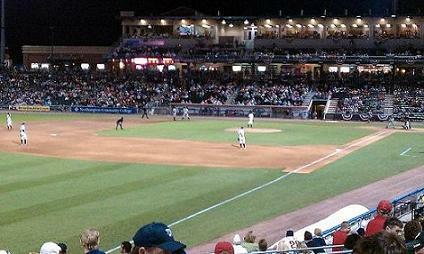 "Groups of 24 or more can take advantage of an IronPigs picnic on the PPL Picnic Patio. This all-inclusive option includes both a game ticket and a two-hour buffet that features a ballpark style meal and soft drinks. Beer service is available at an additional cost." CHECK IT OUT AT www.ironpigsbaseball.com. OUR FIRST PLANNED TRIP IS SUNDAY, JUNE 20TH, 2010. THE FISH WE WILL GO FOR ARE FLOUNDER. OUR SECOND PLANNED TRIP WILL BE JULY 18TH. THE NEXT IS AUG 22ND. 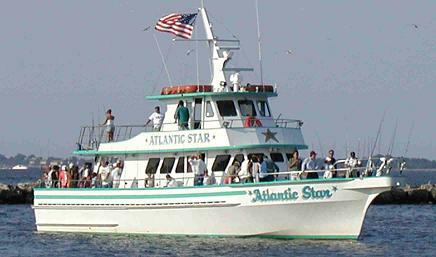 WE HAVE CHOSEN THE ATLANTIC STAR IN THE ATLANTIC HIGHLANDS MARINA, JUST IN FROM SANDY HOOK, NJ. WE WILL DO THE 1:30 - 6:00 PM TRIP, THIS WAY WE DON'T HAVE TO GET UP REAL EARLY. WE SHOULD LEAVE BY 9:30 SO WE CAN GET OUR SPOT ON THE BOAT, THEN GO EAT LUNCH, AND EVEN FISH OFF THE PIERS BEFORE WE GO. WE SHOULD MEET AND CAR POOL FOR THE TRIP. THE RATES ARE $39 FOR ADULTS, $25 FOR CHILDREN. POLE RENTAL IS $4. THEIR WEB IS WWW.ATLANTICSTARFISHING.COM . COME ALONG TOO!! ASK ABOUT TRIPS FOR 2012 !! DUE TO THE NON-INTEREST OF PEOPLE IN THIS SO FAR THIS YEAR, I DID NOT BOTHER BOOKING ROOMS EARLY ENOUGH. ALSO INTEREST LAST YEAR WAS ZILCH, AND POOR AT BEST EARLIER. THIS EVENT IS CANCELLED. THE CLUB I BELONGED TO WAS ALSO MORE INTERESTED IN BULLS**T POLITICS AND I STOPPED ATTENDING. NO FUN THERE ANYMORE. BTW, I SOLD MY VETTE. ANYONE KNOW OF ANY FUN VIPER CLUBS?? 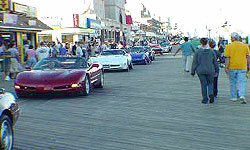 ALSO OF MANY YEARS A PERSONAL INTEREST OF MINE IS THE "CORVETTES ON THE BOARDWALK" IN OCEAN CITY, MARYLAND. I HAVE SOLICITED MANY TO JOIN ME AT VARIOUS HOTELS. THE LAST FEW YEARS I INVITED EVERYONE TO JOIN ME AT THE SEACRETS HOTEL, WHICH TURNED OUT TO BE SOME REALLY AWESOME ROOMS. LOTS OF SPACE, MODERN AND FULLY EQUIPPED. 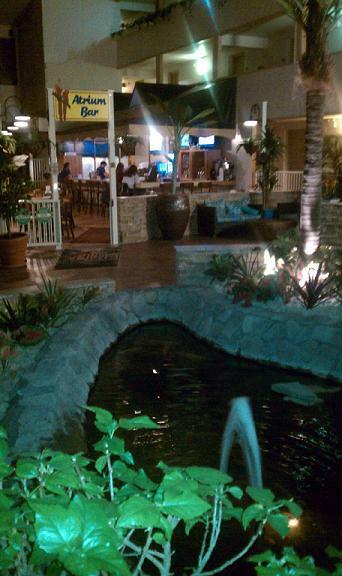 WE MAY ALSO CHOOSE TO STAY THIS TIME AT THE QUALITY INN, TROPICAL BUILDING. DUE TO THE FACT IT IS SOMETIMES COLD DURING THIS EVENT SINCE THEY PUSHED IT OFF LATER IN THE YEAR. THE RAIN LAST YEAR WAS BRUTAL AND WE HARDLY LEFT THE ROOM. AT THE QUALITY, WE WOULD HAVE INDOOR ACTIVITIES TO DO, AND YOU CAN BRING CHILDREN. THIS IS OPEN TO ALL PEOPLE, CUSTOMERS, FRIENDS, CORVETTE OWNERS, ENTHUSIASTS OR JUST LOOKING FOR A FUN WEEKEND. THE "TJ'S AUTOMOTIVE 2010 SEACRET CRUISE" IS BEGUN. THE SLOGAN IS...... "TELL EVERYONE, IT'S A GREAT SEACRET". THE CONFIRMED DATES FOR THE EVENT ARE FRI, OCT 15 AND SAT, OCT 16. THE NIGHTS I AM BOOKING ARE OCT 14,15 & 16. FOR "SEACRETS", YOU CAN TAKE TWO OR ALL THREE FOR THIS PACKAGE. THEY NOW HAVE TWO BUILDINGS. FOR LAST YEAR, THE 1 BR BAYFRONT COST $61.75 FOR THE WEEKDAY AND $118.75 FOR FRI AND SAT, EACH NIGHT. THEY HAVE 1 BR AND 2 BR NON-BAYFRONT ROOMS AVAIL AT A LESSER PRICE. REMEMBER, THESE UNITS HAVE FULL KITCHENS, BEDROOMS, BATHS, WASHERS AND DRYERS, LIVING ROOMS AND BALCONIES. THEY ARE BEAUTIFUL CONDO UNITS. CONTACT AMY ROBITAILLE DIRECT ( amy.robitaille@seacrets.com ) AND TELL HER YOU WILL BE WITH THE TJ'S GROUP. I WILL GET UPDATED PRICING SOON. JUST MINUTES FROM THE SHOW, THE BOARDS,……. AND IN SEACRETS!!!! THANKS TO THE COUPLE WHO BOOKED WITH ME IN 2008. 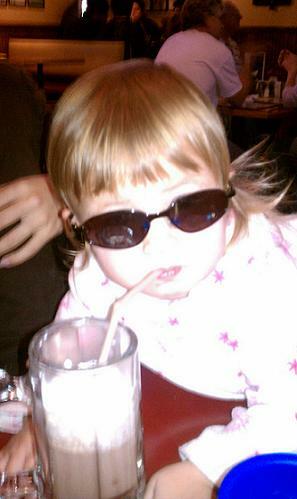 IN 2011, WE HAD A GETAWAY FOR THE HOLIDAY. THREE NIGHTS, NOV 24, 25 & 26. IF YOU ARE OFF FOR THE HOLIDAY, COME JOIN US AT THE QUALITY INN, IN OCEAN CITY MD. 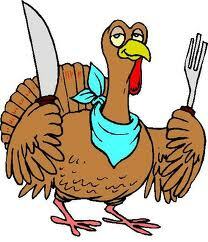 THE HECK WITH STUFFING THE BIRD, COME GET SOME CRABS, REAL FUN. ALSO THE WINTERFEST OF LIGHTS WILL ALREADY HAVE BEGUN. CHECK BACK FOR THE 2012 DATES. 2010 & 11 WAS A BLAST. NO SNOW!! CALL IF INTERESTED IN 2012. THIS YEAR WE WILL STAY 12-31 AND 1-1 NIGHTS. ANYONE INTERESTED IN A FEW DAYS IN OCEAN CITY IN WINTER? THEY DO A NICE EXHIBIT OF LIGHTS IN THE CITY PARK, WITH THEIR TROLLEYS DECORATED TO RIDE THRU IT. THE WHOLE TOWN IS DECORATED, AND OTHER ACTIVITIES TOO. THE TOWN IS STILL VERY BUSY, EVEN IN THE WINTER. MY PLAN AGAIN IS AT THE " QUALITY INN, OCEANFRONT TROPICAL HOTEL" . OCEANFRONT AND 54TH STREET. WE WILL ARRIVE SATURDAY, DEC 31ST AND STAY FOR 2 NIGHTS, LEAVING MONDAY, JAN 2ND. AN INSIDE ATRIUM VIEW BALCONY EFFICIENCY ROOM IS $196.70, INC THE 10% TAXES. REMEMBER, THIS IS A DISCOUNTED SPECIAL SINCE WE HAVE GONE THERE FOR A FEW YEARS, AND ALWAYS TRY TO DRUM UP MORE BUSINESS FOR THEM. YOU NEED TO TELL THEM YOU ARE PART OF THE TJ'S GROUP TO GET THIS PRICE. THERE IS ACCOMMODATION FOR 6 IN THE ROOM. CALL 800-837-3586 M-F 8:30 AM TO 3:45 PM, OR THRU THE E-MAIL LINK TO TONYA BELOW. THIS WOULD BE A NICE GETAWAY, AND GREAT FUN TO TAKE THE KIDS WHEN THEY ARE ON CHRISTMAS BREAK. WE LOVED IT SINCE 2005. LOOK AT IT AS ANOTHER CHRISTMAS PRESENT !!! ALSO, WHAT A GREAT TIME TO BE THERE FOR NEW YEARS !!!!!!!!!!! COME FOR 1 NIGHT, COME FOR MORE, ........ JUST COME !!!! THIS HOTEL HAS A HUGE INDOOR ATRIUM WITH A SPORTS BAR WITH FOOD, HEATED POOL, JACUZZI'S, PONDS WITH FISH, BIRDS AND PLAY AREAS TO KEEP THE KIDS BUSY ALL DAY LONG !!! ALSO HAS A GAME ROOM, EXERCISE ROOM AND A TANNING ROOM. WE VISIT THIS PLACE A FEW TIMES A YEAR. A GREAT PLACE FOR THE KIDS TOO! I LOVE IT HERE FOR NEW YEARS EVE !! THANKS TO THOSE WHO COME, OC IS ALWAYS GREAT FUN. I WOULD LOVE TO HAVE YOU JOIN US FOR A 2011 INTO 2012 EVENT ! INTERESTED??? OR HAVE SOMETHING INTERESTING?? ?